Mason Flecher of Bardstown, has been named to the dean’s list at Indiana State University for the spring semester of 2018. To be eligible for the list, students must maintain a cumulative grade-point average of 3.5 or higher on a 4.0 scale. The 2018 Nelson County Fair Board’s William Cross and Cliff Burgess Memorial Scholarship has been awarded to Taylor Skrine. She is a 2018 graduate of Nelson County High School. 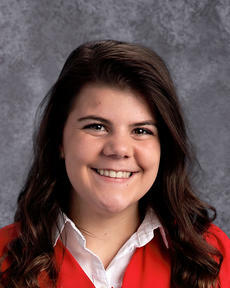 While at NCHS, she was a member of the girls’ soccer team, public relations officer for the National Honor Society, and a member of the Principal’s Panel. This fall, she plans on attending Spalding University, majoring in special education. She is the daughter of Patricia and Christopher Skrine, of Bardstown. Kentucky residents have another chance to win a new iPad from the Kentucky Higher Education Assistance Authority (KHEAA) in a sweepstakes being held through Facebook in August. The contest runs from 12 a.m. on Aug.1 through 12 a.m. on Sept. 1. To enter, a Kentuckian must visit the KHEAA Facebook page, click on the “Giveaway” tab on the left side of the page and answer one question about college. On a mobile device, the giveaway post is pinned to the top of the KHEAA Facebook page. KHEAA will not share or sell any personal information to a third party. After more than 80 years of learning in the same three-room schoolhouse, the students and teachers of St. Ann School in Howardstown have a new home — and it’s just a few feet away. 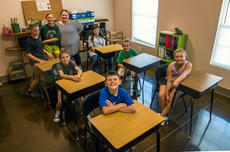 The new parish center for St. Ann Church was completed about two weeks ago and features four classrooms, which will be the new learning space for the small Catholic school that has served the community since the late 1800s. “It was staffed by Ursuline nuns,” and lay teachers later continued the work, said teacher Sue Boone, an alumna of St. Ann School. 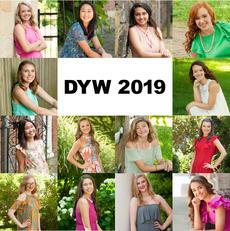 Fourteen young ladies are vying Aug. 18 for the title of Nelson County’s next Distinguished Young Woman, part of a long-running national scholarship program designed to promote leadership, improve self-confidence and recognize young role models. Open locally to high school juniors, the scholarship program was founded in 1958 as Junior Miss. Since its creation, thousands of teens from across the country have taken part. Contestants are judged on scholastics, interview skills, talent, fitness and self-expression, each counting for a percentage of their overall score. Pamela Baylee Sims is one of the two recipients of the 2018 Kentucky Home Extension Master Gardeners Association Scholarship. She is a graduate of Nelson County High School and will be attending the University of Kentucky with a major in Career and Technical Education and minor in Animal Science, Agriculture Economics. The Bardstown High School Future Business Leaders of America (FBLA) team had seven members qualify to compete at the National Leadership Conference in Baltimore, Md., from June 28 to July 2. To qualify for the national conference, participants had to place in the top five at the state FBLA competition.